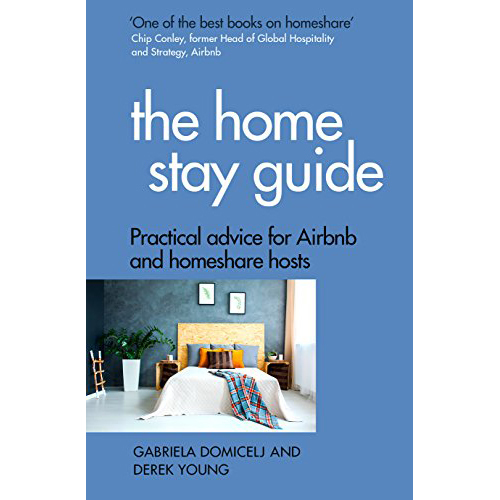 The Home Stay Guide: Practical advice for Airbnb and homeshare hosts Home Stay, also known as Homeshare, is a global phenomenon whereby ordinary people share their homes with strangers. On Airbnb alone there are now three million hosts around the world, one million more than a year ago. This book offers frank, practical and hands-on advice for those who are considering or already offering their home, or investment property, as short-term accommodation. Written by self-taught hosts who are dedicated to providing the best possible guest experience, this book provides real-life insights into the day-to-day experience of running a homeshare, and the lessons the authors have learned along the way. You can contact their advisory service with any questions regardless if you have the book or not.